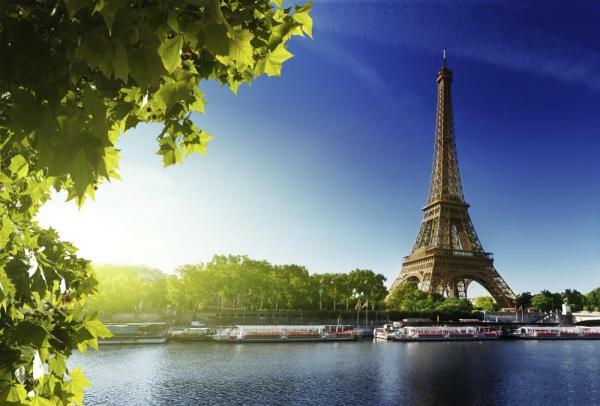 Paris always sizzles while Normandy beckons with its stunning coastline, incredible food and artistic beauty. 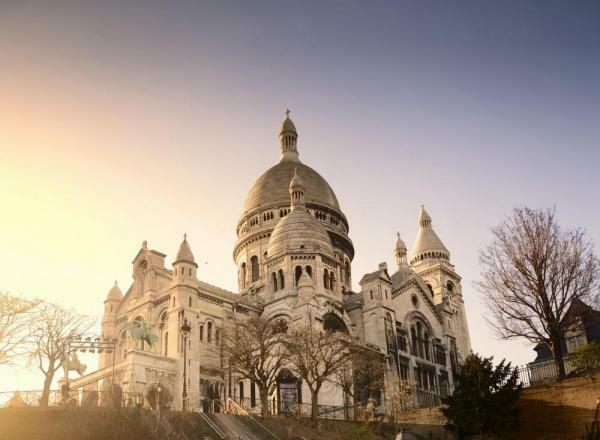 Monet’s Gardens in Giverny; Rouen’s Cathedral of Notre Dame; and the charming harbor town of Honfleur, will inspire you the same way as they inspired the great Impressionists. You’ll then get to see some of these very places and landmarks that the Impressionist Masters captured on canvas at the Musée d’Orsay. Relive the grandeur of royalty at Château Malmaison, the former home of Napoleon and Josephine Bonaparte, and at Chateau de Bizy, once referred to as “the Versailles of Normandy.” Blend a passion for the good life with culture, art, architecture and timeless landscapes, and you have Northern France. After checking out of your hotel, you’ll visit one of the world’s most renowned museums, the Musée d’Orsay. Housed in the train station building, constructed by Victor Laloux for the 1900 World Fair, the Orsay is a national museum devoted to all the arts between 1848-1914. The various artistic movements represented include Academism, Realism, Impressionism, Symbolism and Art Nouveau. 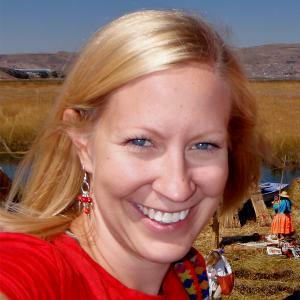 Among the featured artists are Cézanne, Courbet, Daumier, Degas, Gauguin, Manet, Millet, Monet, Pissarro, Renoir, Rodin, Seurat, Sisley and Van Gogh. You’ll be taken to the ship after your museum visit. 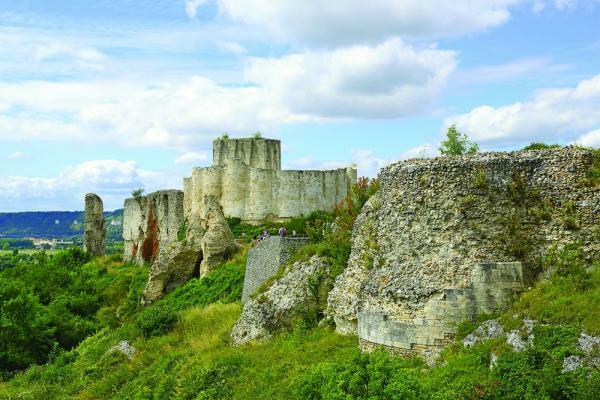 Uncover the history of Château Gaillard, the former stronghold of Richard the Lionheart, situated on the chalk cliffs high above the Seine, on a tour. Or, if you prefer a more active adventure, you can hike there from the banks of the Seine, admiring the scenic views along the way. For those who wish to explore the area on two wheels, join a guided bike tour through the charming town of Les Andelys. 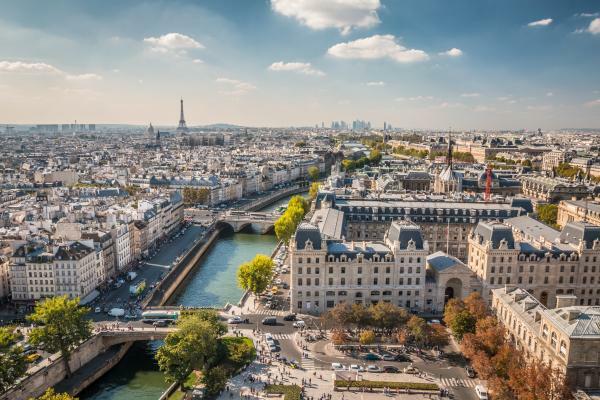 After your adventures, set sail along the meandering Seine, enjoying the beautiful views of the Seine Valley’s dramatic white cliffs and centuries-old half-timbered houses. Visit the seaside town of Honfleur, renowned for its picturesque harbor, and for being an inspirational site for Impressionist painters. If you wish to experience a different kind of inspiration, the Romanesque Normandy Abbey Route will take you to the magnificent Abbaye de Montivilliers and Abbaye du Valasse. For a more active adventure, you can bike through Normandy’s picturesque landscape. 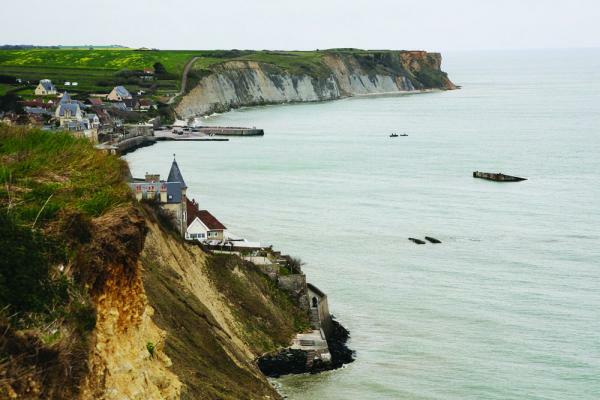 Experience the Normandy region with one of three tours. For those wishing to go to the American sector of the historic Normandy Beaches, you will visit the cemetery at Colleville-sur-Mer, Omaha Beach, the artillery battery at Longues-sur-Mer and the village of Arromanches, where the remains of the floating harbor used during the WWII landings can be seen. If you prefer, you can tour the Gold and Juno beaches in the British and Canadian sectors, where you will visit Ranville Cemetery, Pegasus Bridge, the Canadian cemetery at Beny-sur-Mer, the WWII museum in Courseulle and finally Arromanches. As an alternative experience, travel through beautiful Normandy countryside. 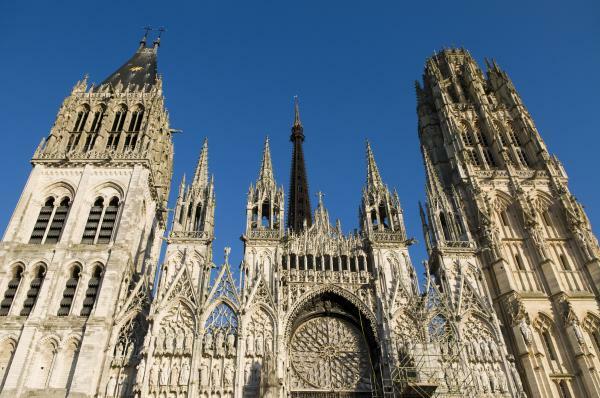 Spend the morning enjoying medieval Rouen with a choice of three excursions. 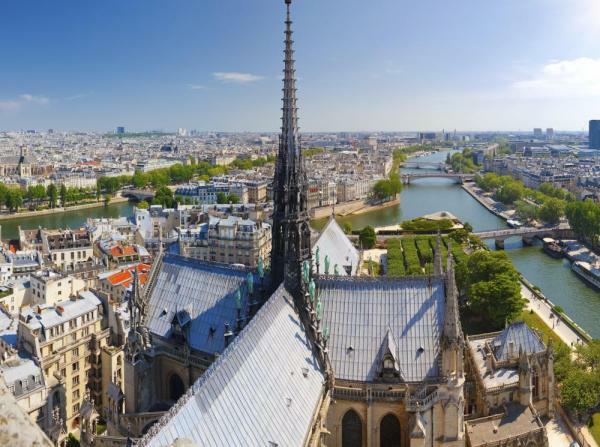 Join a walking tour past the imposing Notre Dame Cathedral, painted numerous times by Monet, and see the square where Joan of Arc was martyred, as well as the Medieval Quarter and Great Clock. For those who wish to be more active, you can join a biking or hiking tour around the city. 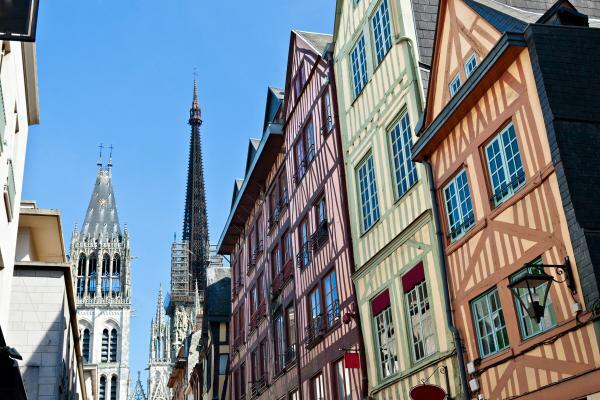 Later in the day, you can explore the Jewish area of Rouen; or go on the “Tastes of Normandy” tour, where you’ll be treated to the delicious flavors of the region, including chocolate, cheese and cider. 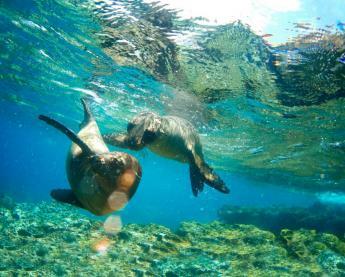 Sail along picturesque Seine to Vernon, where you will have a choice of three exciting excursions. Art lovers who choose to visit Claude Monet’s gardens in Giverny will immediately recognize images immortalized in Monet’s most beloved paintings—such as water lilies, Japanese bridges and graceful willow trees. 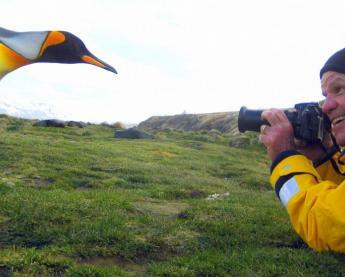 Wander around his famous gardens and home where he lived for more than four decades. You also have the choice to explore the 18th-century Château de Bizy, inspired by the opulence of Versailles. Or for those who wish a more active adventure, you can go on a guided bike tour to Giverny, taking in the enchanting beauty of the region. Visit Paris’s famous Wine Museum, located in the heart of the city, not far from the Eiffel Tower. The Wine Museum is housed in what used to be crude limestone quarries that were mined between the 13th and the 18th centuries to supply the stones used to build Paris. The three vaulted cellars, which today houses the Wine Museum restaurant, were used in the 16th and 17th centuries by the Friars of Passy Monastery for storing their wine. The museum’s permanent collection contains more than 2,200 items and has been under the ownership of the Echansons Council of (Le Conseil des Échansons de France) since 1984. The collection pays tribute to generations of winemakers, cellar masters, oenologists and coopers who have relentlessly perfected their craft to produce the most prestigious vintages. The perfect way to cap off your day is with a Champagne tasting onboard. 255 sq. feet. 3 cabins on Violin Deck. French balcony, sitting area, bathtub and shower, Infotainment system, safe, hair dryer, bathrobes, A/C, ample closet space. #310-304.